For years, the American Academy of Pediatrics advised Boulder parents to begin children’s dentist visits before the third birthday. The AAP now advises parents to take their toddler to a Colorado dentist before their first birthday, or about six months after their first tooth appears. Why? Prevention, prevention, prevention! Sadly, Longmont dentists find advanced tooth decay in very young children. To talk to us about pediatric dentistry, call 720-862-3630. 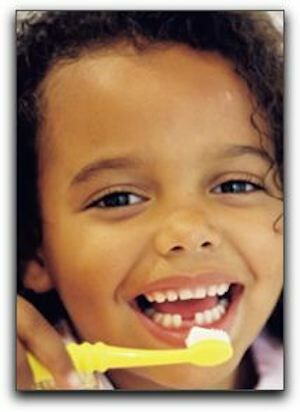 Dr. Gordon West at Gordon West DDS, Cosmetic & General Dentistry can advise you on your next steps for your pediatric dentistry. We also pamper busy Lafayette parents who come to Gordon West DDS, Cosmetic & General Dentistry for general and cosmetic dentistry. If you are between the ages of 25 and 75, we would love to provide you with the most advanced dental care in Lafayette. Our most popular procedure is porcelain veneers, and many of our patient may not know that we offer dental implants.